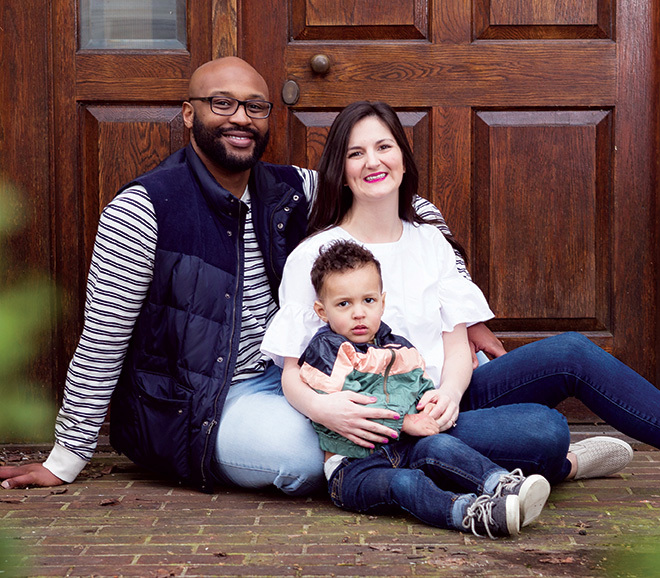 Adoption Link, Inc. | Waiting Adoptive Family | Meet Elizabeth & Reggie S.
Meet Elizabeth & Reggie S.
We cannot begin to understand the weight of your circumstances and the decision you are facing, but we are overjoyed that you are taking the time to learn about our family. We hope that through this short profile, you will be able to see the love we have for each other, our family and our future child. About Our Family We are Elizabeth and Reggie. We live in Milford, Ohio on the east side of Cincinnati with our son, Roman. We have been married for almost five years, but have been together since 2006 when we were both in high school. Yes, high school sweethearts. As we look back on everything we’ve experienced together in thirteen years, we’ve seen great times – full of joy and excitement, but also not-so-good and some downright awful times, and we firmly believe experiencing all these things together have helped us become a rock-solid family unit. Life is not perfect, not for anyone, but we vowed at our wedding to always be there for each other and our children, no matter what. Roman was born in 2016 and he brings so much happiness to our lives. We cannot wait to see Roman as a big brother to a little sister or brother. Due to health-related reasons, adoption is the way we want to grow our family. About Elizabeth I am 29 and work as a Human Resource professional for an international company. I grew up on lots of land north of Cincinnati (which is where I get my love for the outdoors! ), played volleyball, soccer and ran track and then attended the University of Cincinnati where I studied accounting. After I graduated, Reggie and I moved to Chicago, where we got married and explored/ate our way around the big city for two years, until we moved back home to Cincinnati to be closer to our support system. About Reggie I am 31 and work as a Respiratory Therapist at a local hospital, Bethesda North. I grew up playing almost every sport out there and in my free time listen to sports podcasts, watch sports, play Xbox, build hot wheels and train tracks with Roman and experiment in the kitchen (Elizabeth says Reggie is an EXCELLENT cook… and does the cooking in our house). Our Work Elizabeth works Monday through Friday during daytime hours and Reggie works 12-hour day shifts, three days a week. 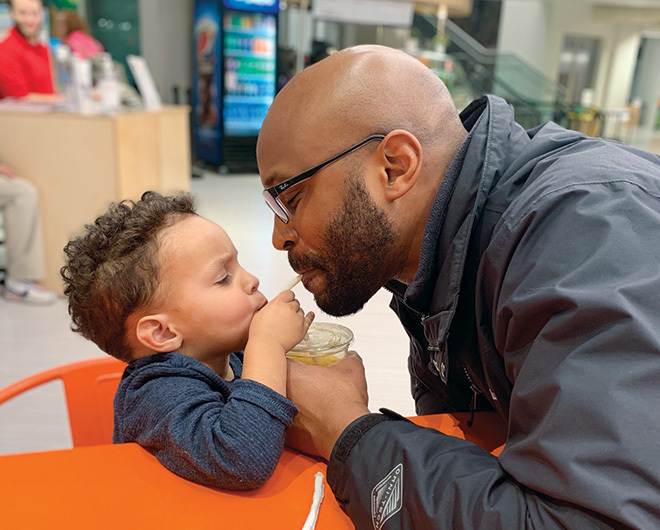 When we are working, our children will go to the same in-home daycare Roman has been attending since he was 9-months-old where he is loved and cared for. Our Home and Community We built our home in 2018 and plan to stay until we are old and gray. We love hosting our extended families for holidays and gatherings: Thanksgiving, Christmas, birthday parties and Sunday night football. We have a private, fenced in backyard perfect for playing and grilling out and a playroom dedicated to Roman and our future child in the basement next to the “man cave”. Our home is in a residential neighborhood with a pool and tons of children and the local, public school district is one of the top in Ohio. 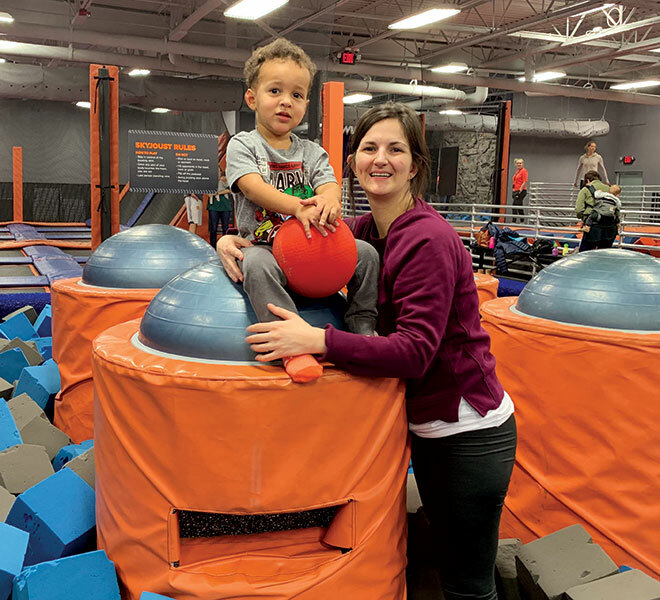 Our home is located 30 minutes from downtown Cincinnati, the Cincinnati Zoo and the Cincinnati Children’s Museum, all of which we visit often. Also within 30 minutes driving distance is Elizabeth and Reggie’s parents and siblings. Elizabeth is one of two daughters and Reggie is one of four sons. Thank you from the bottom of our hearts for taking the time to take a peek into our lives. We’d love to answer any questions you may have, learn more about you and work together to build a strong foundation for your child. 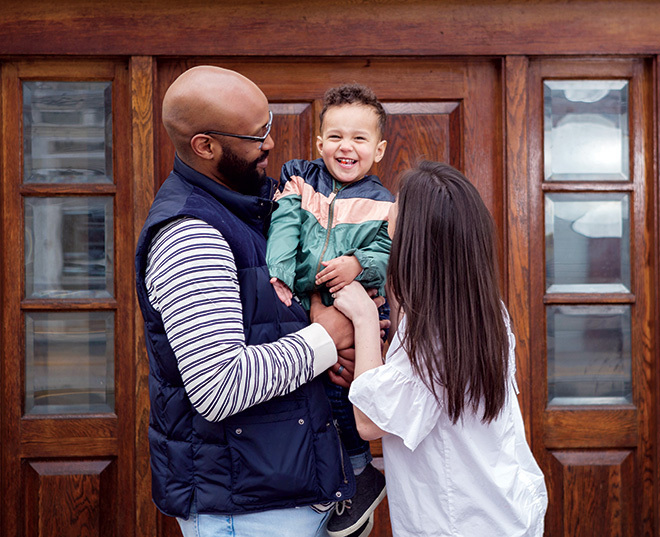 If you’re comfortable and willing to, we want to maintain a relationship with you to celebrate your child’s connection with you and the story of how he/she was brought into the world.